Wolf Tooth Elliptical | Fad or Fabulous? When I first laid my eyes on the Wolfooth Elliptical chain ring I thought to myself "what's wrong with a circular chain ring?" Theses have been written on the bio-mechanical aspects of using an oval chainring versus a circular. 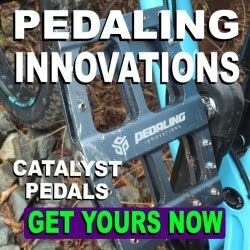 As we are not continually applying consistant power throughout the entire pedal stroke, the oval essentially maximizes power and minimizes resistance. Sounds great in theory doesn't it? Way back in the 1980's and into the 1990's Shimano developed an oval crankset (3x) called called the Biopace. It was supposed to help riders overcome the "dead zone" when the pedals are in the 12 and 6 vertical position. Riders eventually lost interest and it died. With the increase in 1x drivetrains there seems to be an increase in oval availability to consumers. 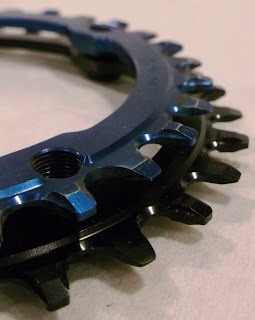 The fine people of Wolftooth sent along one of their 32T Elliptical chainrings for review on Fatbike Republic. 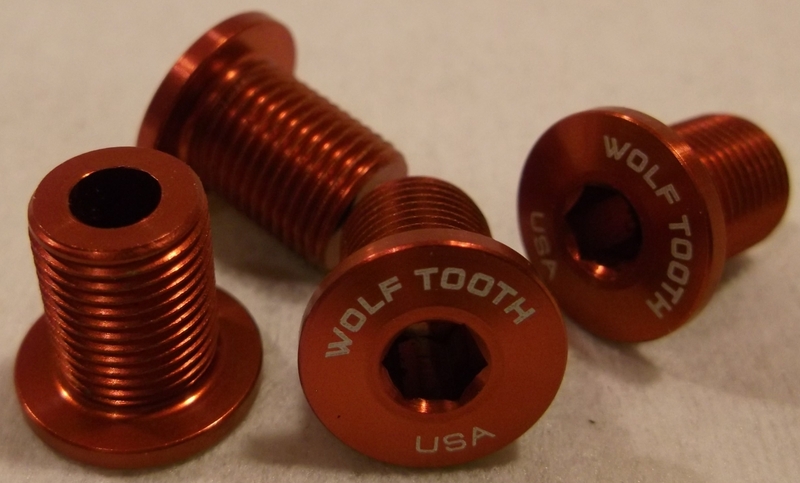 According to thier website Woolftooth's "proprietary design has ovality of 10% and timing of 112° after TDC (top dead center). 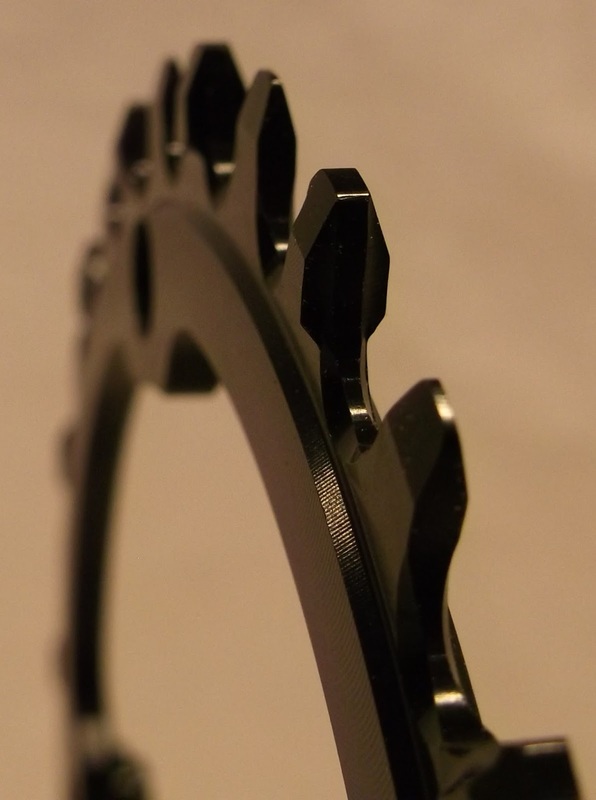 These values provide the benefits of an oval ring without the drawbacks of greater ovality or more aggressive timing. 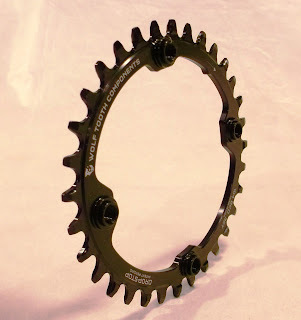 The simplest way to explain how they "feel" is that where your pedal stroke is weakest it feels like you have a 2 teeth less on the chainring and where you have the most power it "feels" like you have 2 more teeth. 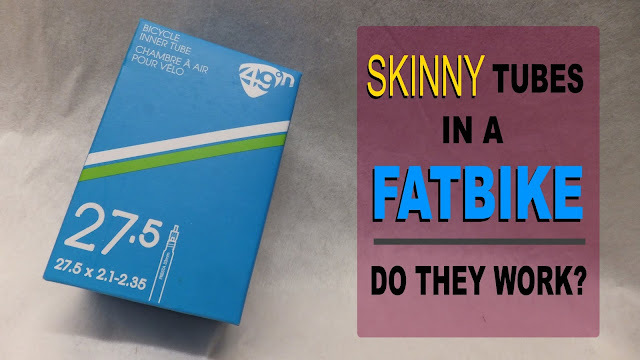 Example: a 34t chainring feels like a 32t in the weak part of your pedal stroke and a 36t in the part of the stroke where your legs have the most power." Apparently the difference between the Biopace and the Wolftooth elliptical is that the Biopace had two less teeth during the power stroke and two more when at the weakest point . . . the complete opposite. That sounds great . . . but does it really work? The chainring installs just like any other, however it has to be positioned in a particular location in relation to the crank. There is a marking on the chainring (outlined in the video) that makes it quite simple. 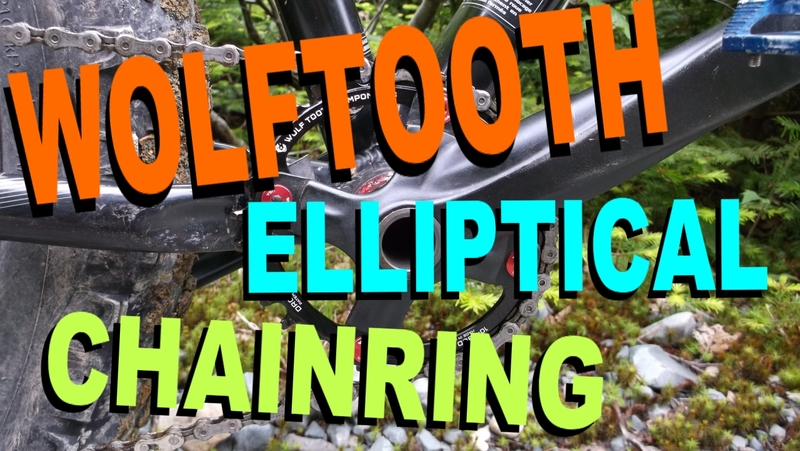 The elliptical also uses the same length of chain as the circular chainring with the same number of teeth. Just drop and swap. No messing around with shortening or lengthening chains. Wolftooth also sent along a set of 10mm chainring bolts in red to complete the installation. 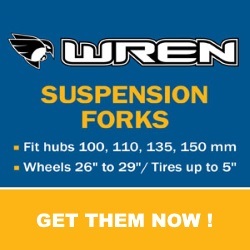 They are the perfect length for a 1x conversion and come in a bunch of colors. The little bit of eye candy really pops and looks sharp against the black crank. 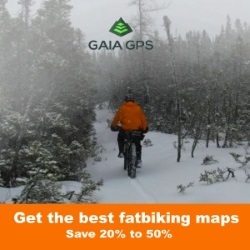 I spent quite a few hours with the elliptical spinning my rear tire over, around and through various types of terrain. To be honest I was initially expecting something significant . 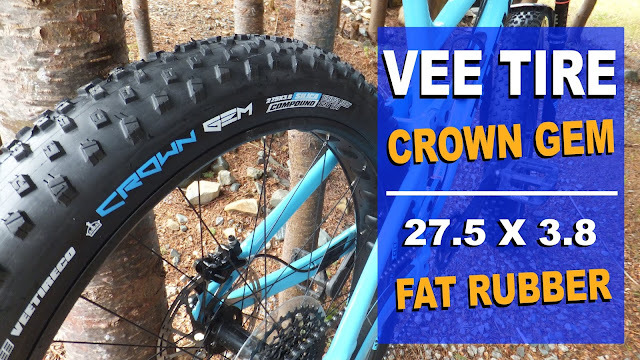 . . a revolution in fatbiking or a big fat flop. I didn't get either. What I did get was something subtle in a positive way. . . a more fluid pedal motion. It just felt better. Its almost like when fine tuning tire pressure during a winter ride, nothing significant . . . it just feels better. I also noticed a slight difference in climbing and acceleration. Again in a positive way. My Norco felt a little snappier and the hills not quite as "hilly". 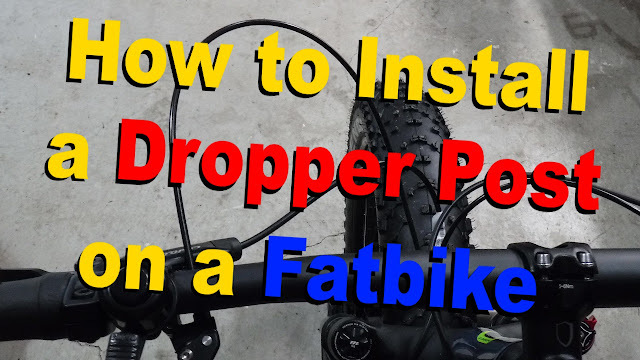 And thanks to the Drop Stop technology no chains were dropped even though I was using an unclutched 1x9 drivetrain. I'm thinking that the elliptical will really shine with a smooth carpet of white under the tires. Smoother terrain + smoother application of power = more fat fun. 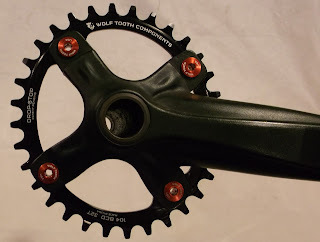 Is the Wolftooth elliptical chainring for everyone? It is definitely something that you need to use to understand and appreciate. I know that I'm liking the improvements and I'm really looking forward to trying it in the white stuff. This horse has already been beaten. Next?